Ability Text: Enchant creature or planeswalker you control. When enchanted permanent dies or its put into exile, return that card to the battlefield under your control. 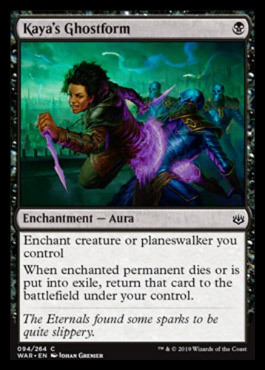 Flavor Text: The Eternals found some sparks to be quite slippery.